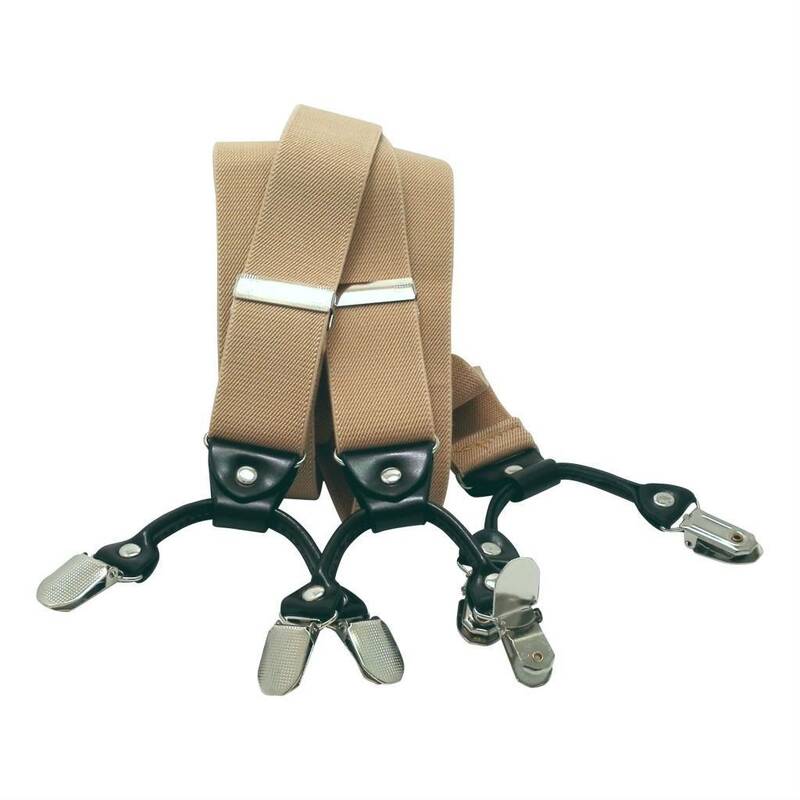 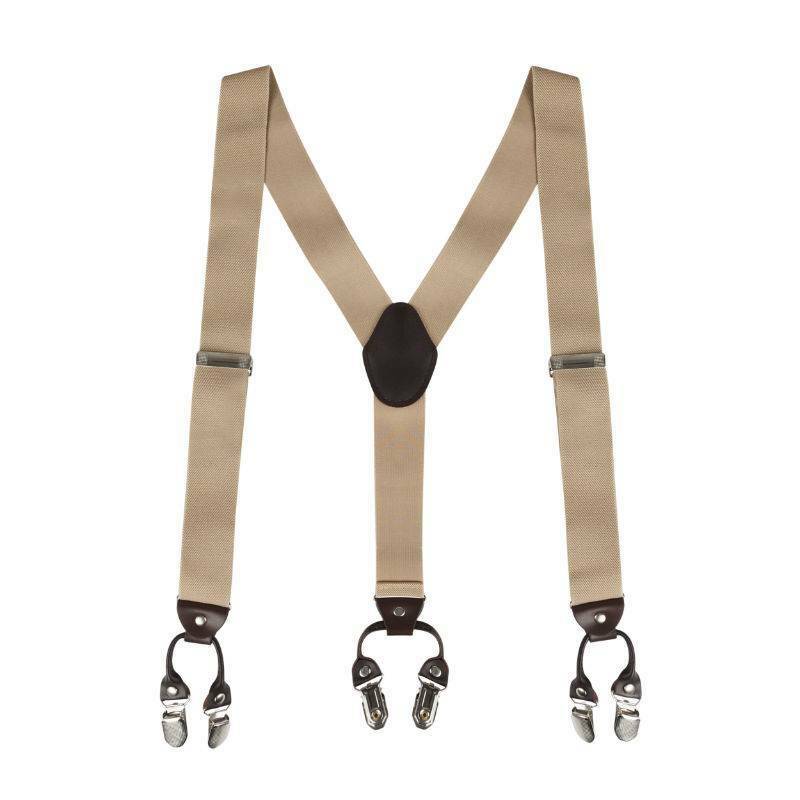 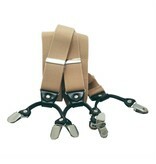 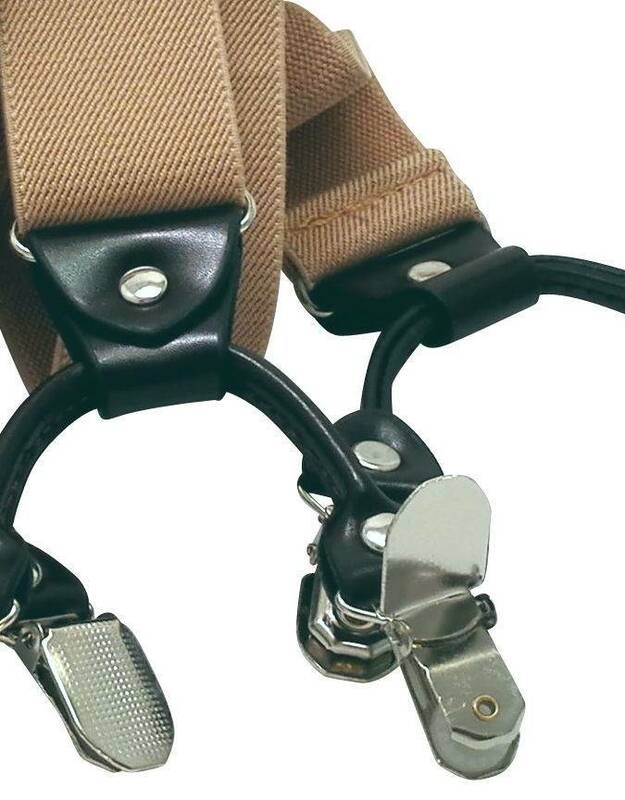 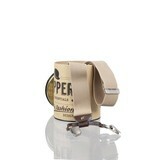 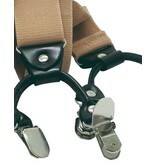 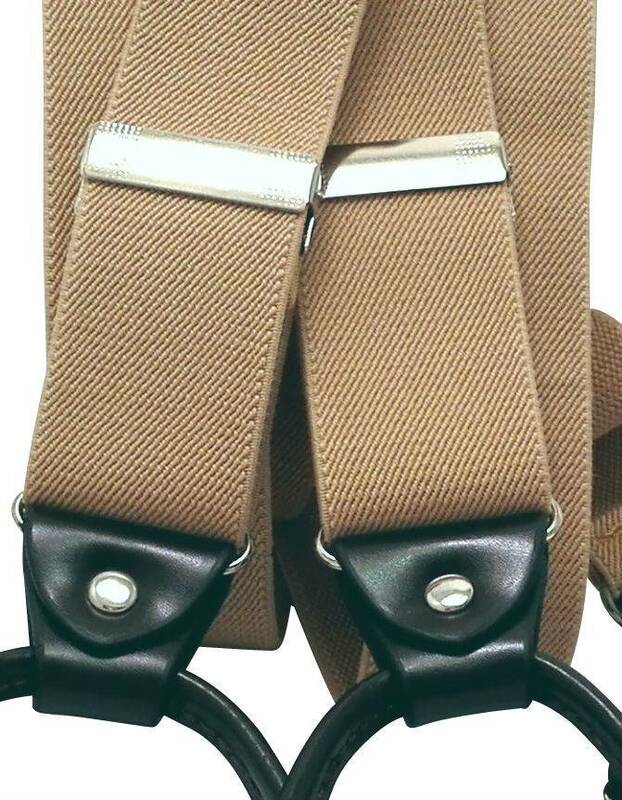 Stylish Beige suspenders with a genuine leather finish. An excellent choice for almost every look. 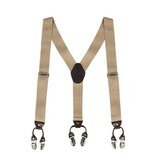 Fits well with a dark shirt or use it with some other basic colors so it'll stand out more. 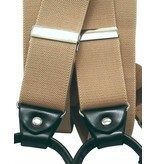 They are 110cm long so fits almost any man.